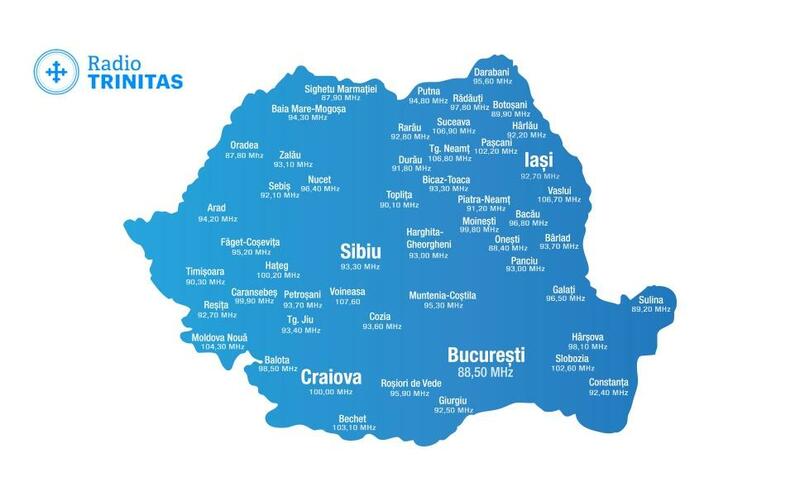 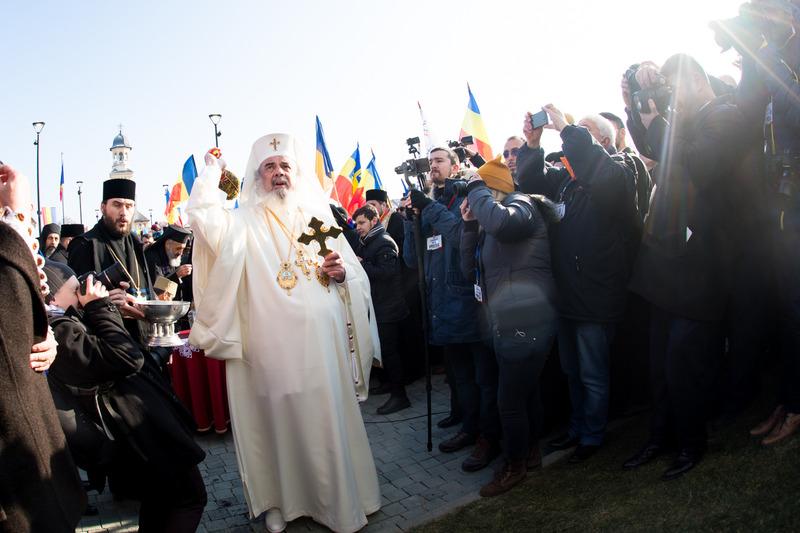 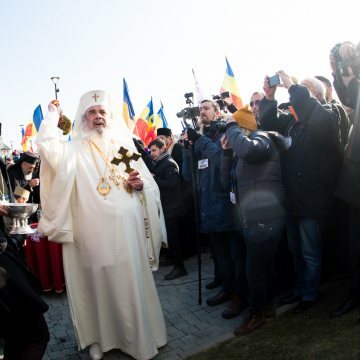 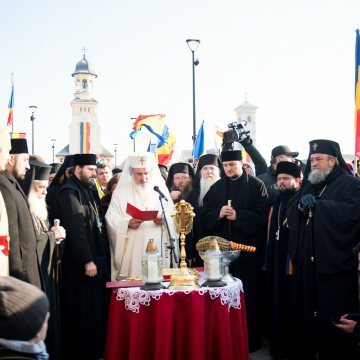 On Saturday, December 1, 2018, His Beatitude Patriarch Daniel inaugurated a memorial dedicated to Romania’s 1918 Great Union in Alba Iulia. 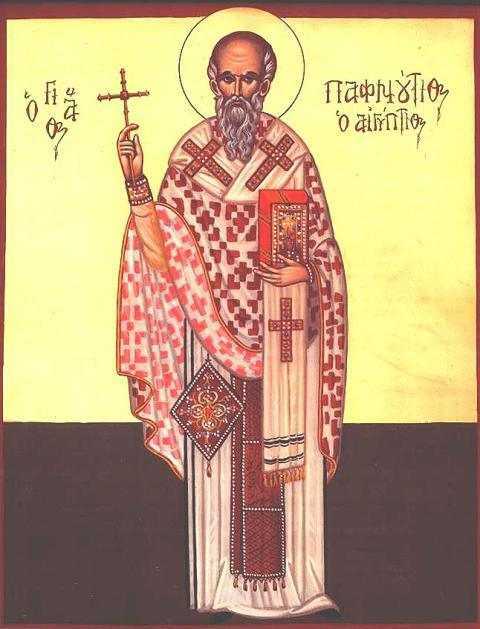 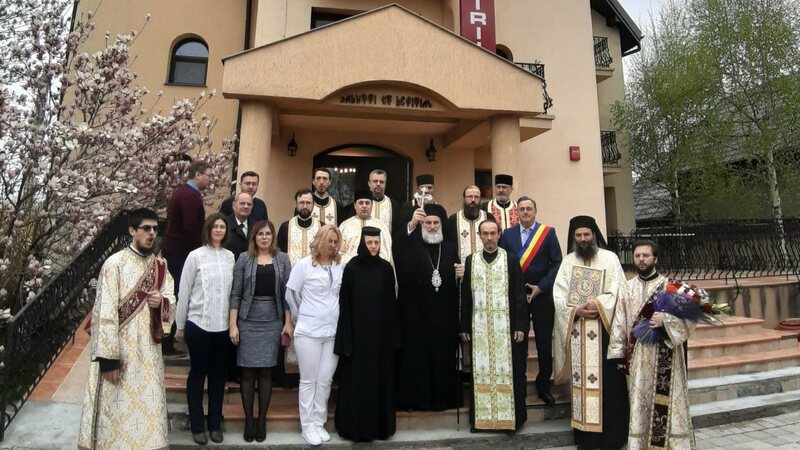 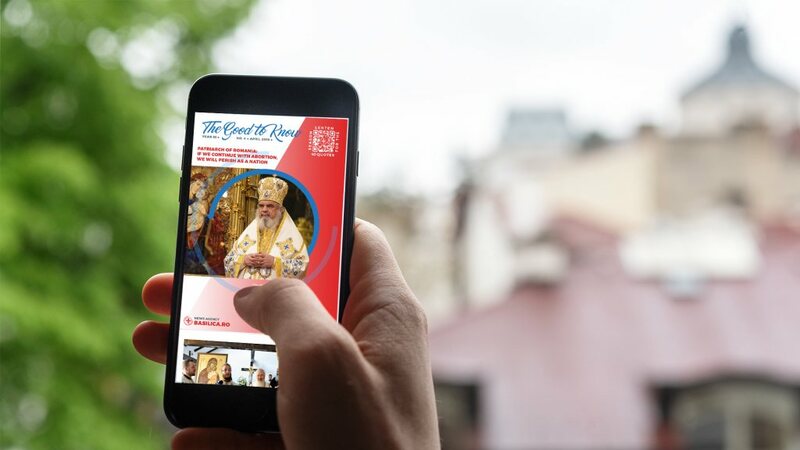 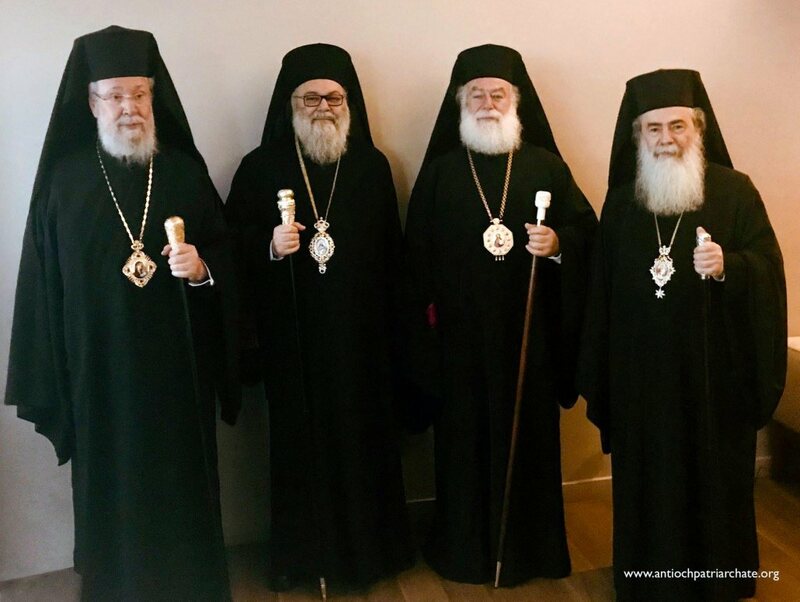 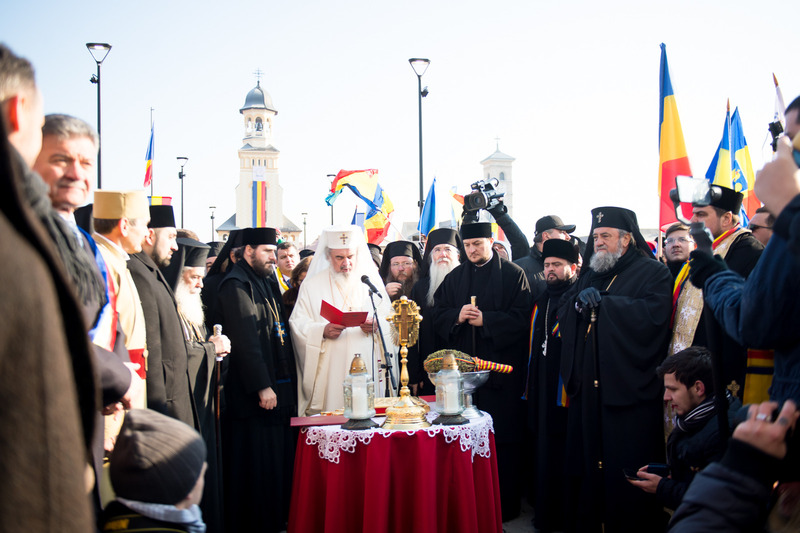 The ceremony was attended by Patriarch Theophilos of Jerusalem and other Romanian Orthodox bishops. 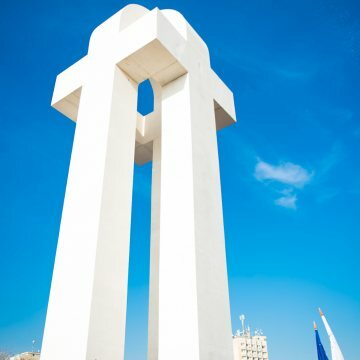 The stone monument has the shape of four crosses joined at the top and two reversed “U” letters, meant to signify the four provinces which united throughout 1918 into a single country. 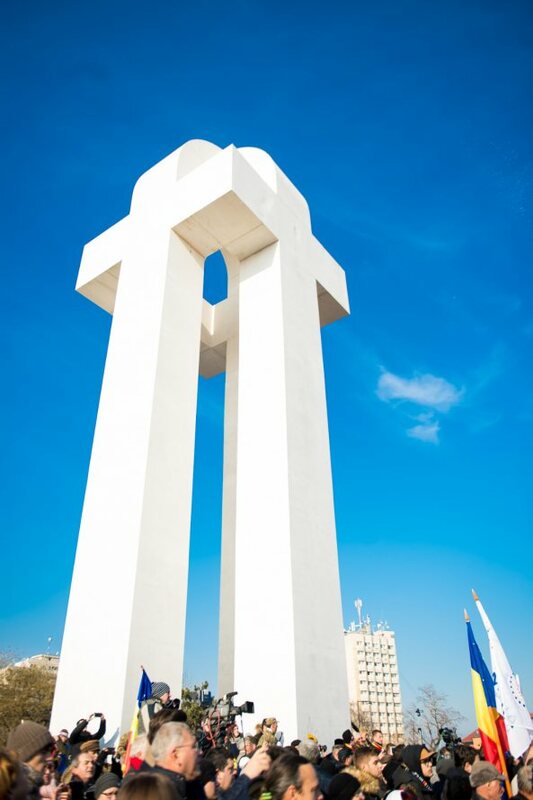 The monument weighs more than 1,500 tons and its height reaches that of a seven or eight-story building. 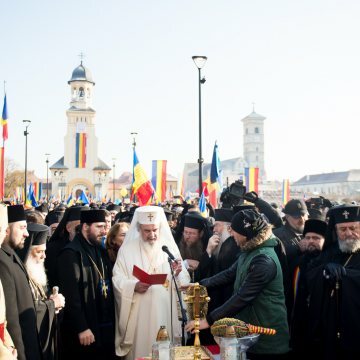 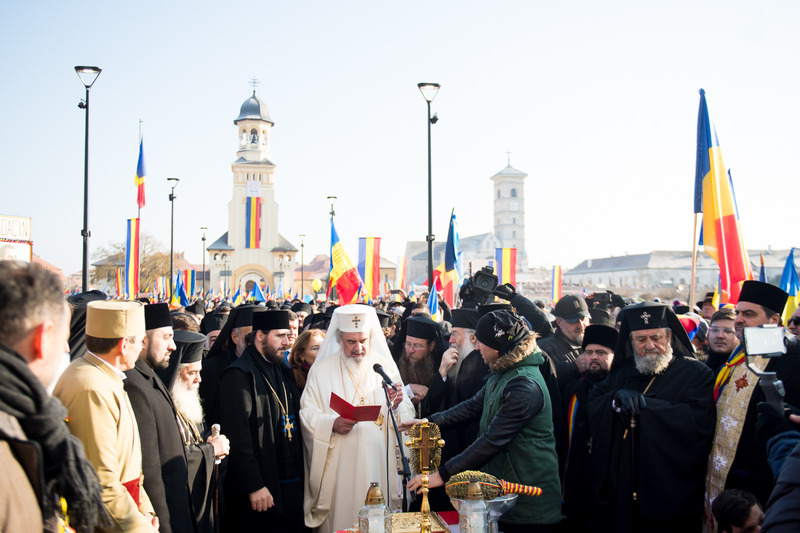 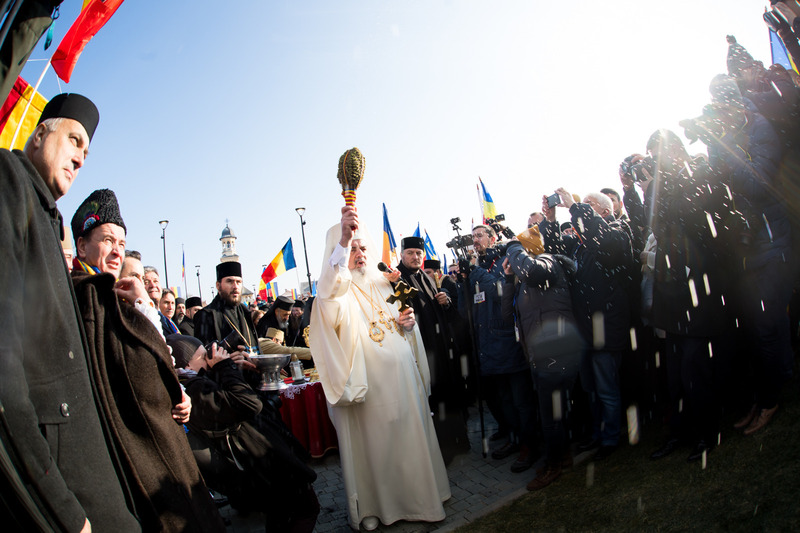 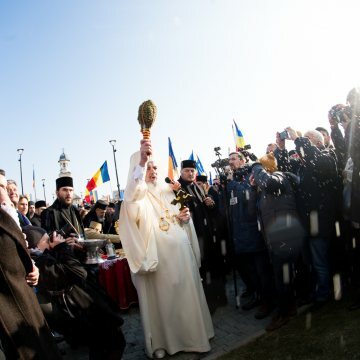 Prior to the inauguration of the monument, the Patriarch of Romania blessed two homage plaques dedicated to the 1918 Great Union founders and officiated a Te Deum service in front of the Coronation Cathedral also known as the Reunification Cathedral in Alba Iulia. 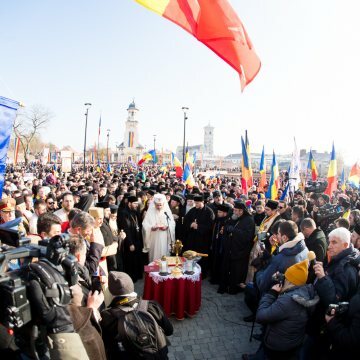 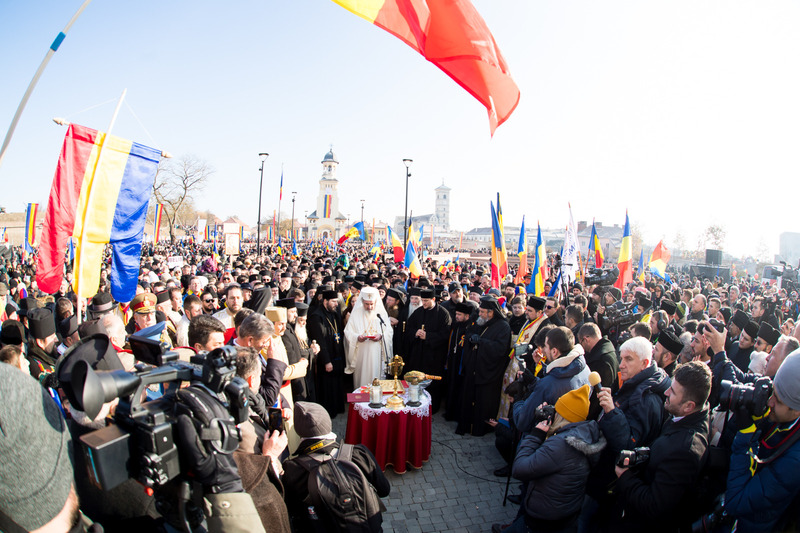 Thousands attended the solemn ceremonies in Alba Iulia.